Decoration: dark-ground bands have florals and animals. 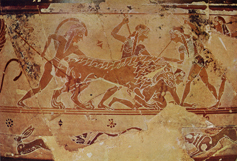 Light-ground have: warriors, with round hoplite shields, kept in step by pipes-player; lion hunt and (under handle) Judgement of Paris with Paris and the three goddesses named; hare hunt with dogs (lower frieze). 'Orientalising' flora and fauna. 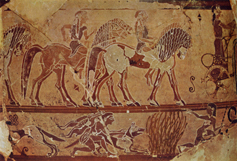 Analysis: unusual techniques of decoration, fine potting and painting, and multi-theme figure decoration suggest a special piece. 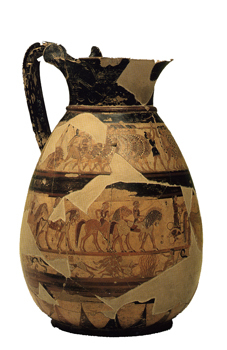 Hoplite warfare was introduced at about the time this vase was made. Lion hunts that were known to have taken place in the East are copied. 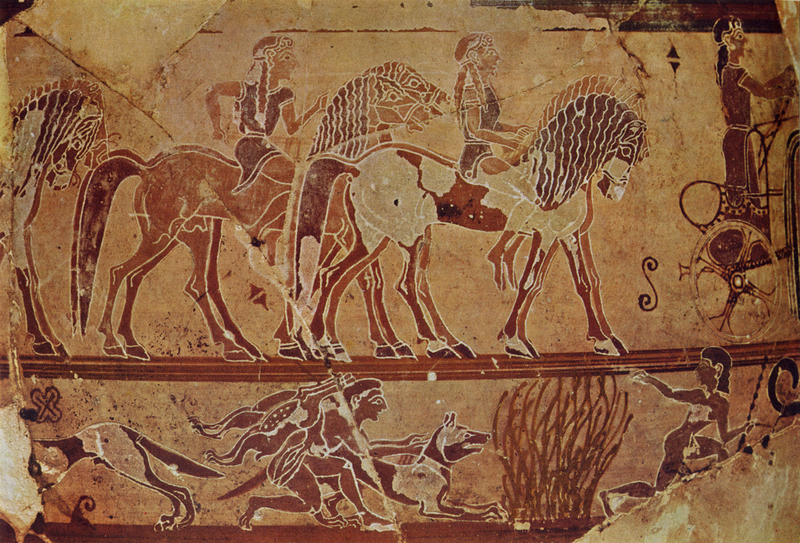 The hare hunt would have been common in Greece. Masculine themes suggest the vase was for men. It was exported in antiquity to northern Italy.